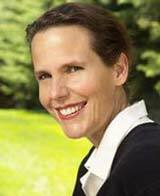 Alison Adams, D.Ac., graduated from the Institute of Traditional Chinese Medicine in 1997. She has studied Homeopathy with Dr. Rajan Sankaran, Drainage Homeopathy with Dr. Gerard Gueniot, Auricular Medicine, Auriculotherapy, Drainage and Homeopathy with Dr. Mikhael Adams, and Acupuncture and Traditional Chinese Medicine with David Lam, C.M.D., N.D. She is a certified instructor, and has been studying and practicing Sheng Zhen Wuji Yuan Gong, a form of Qigong, with Master Li Jun Feng since 1998. Alison Adams,D.Ac., uses Medical Intuition and Auricular Medicine as her primary diagnostic tools and uses Drainage principles applied to Nutrition, Homeopathy, Ear Acupuncture, and Inner Alchemy therapy as her primary therapeutic applications. Alison also offers distance consultations & Inner Alchemy Sessions. Please refer to her clinic website: www.integralhealth.ca for more information. Alison teaches Medical Intuition & Inner Alchemy workshops in Canada, United States, and Euope to people who are interested in learning to connect with others at the energetic level. These workshops facilitate the development of Intuition and introduce her process, called Inner Alchemy, that allows people to get past their limited belief systems and filters that are keeping them from a greater experience of their true Selves. Alison's workshops are for anyone who has the desire to embrace self growth and skills that facilitate helping to move themselves and others to a more fulfilling life of good health, richness of experience and actualization of their dreams. Mikhael Adams, N.D. received his Doctor of Naturopathic Medicine degree from the National College of Naturopathic Medicine, in Portland Oregon in 1981. He fulfilled his undergraduate work at the University of Miami, Coral Gables, Florida, and Villanova University, in Villanova, Pennsylvania. In addition, he obtained his Bachelor of Science degree in Human Biology from Kansas Newman College in Wichita, Kansas. Mikhael, a recognized authority in the field of Auriculotherapy and Auricular Medicine, has developed a filtering protocol that can identify and treat underlying causes of physical, mental and emotional imbalances. By integrating his many years of clinical experience and extensive knowledge of Therapeutic Drainage and Naturopathic Medicine, he has become a recognized teacher and facilitator to many practitioners in the field of Integrated Medicine over the past twenty years. Mikhael Adams, N.D. taught Clinical Pathology at the Northwest Institute of Acupuncture & Oriental Medicine from 1987 to 1993 and has been teaching his approach to Auricular Medicine since 1984. In 1983, Mikhael opened his first clinic in Bellevue Washington before moving to Canada in 1991 to practice in Toronto. 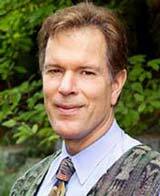 Mikhael Adams, N.D. is the President of the International Association of Auricular and Bioenergetic Medicine. Mikhael has been lecturing for Seroyal International since 1992 on Drainage and Homeopathy, and has successfully brought the concept of Biotherapeutic Drainage and Auricular Medicine to North America from Europe. Mikhael uses Auricular Medicine as his primary diagnostic tool and uses Drainage principles applied to Nutrition, Homeopathy, and Ear Acupuncture as his primary therapeutic applications. Learn a unique diagnostic and therapeutic system based on European Ear Acupuncture developed by Paul Nogier, M.D. Auricular Medicine provides an accurate energetic method of testing to find the imbalances in the individual and assessment of the individual’s ability to respond to specific remedies and treatments. This method identifies the individual’s blockages to healing on the physical, emotional and mental levels. With Auricular Medicine you embark on a journey of learning about the human being as a multidimensional organism, that when given the opportunity and support has the ability to become self-regulating and self-healing. Nine Workshop Series Home Study Program that has been developed to incorporate the principles of Drainage and Homeopathy with Auricular Medicine into a comprehensive system to be utilized for both diagnosis and treatment by practitioners. There is over 80 hours of educational material covered with this series. For those requiring a certificate, a written and practical exam is offered. The DVD’s are live recordings of lectures and teachings by Mikhael Adams, N.D. and Alison Adams, D.Ac. The Series must be viewed in sequence as the work is progressive in its presentation. We take you from the inception and history of Auriculotherapy and Auricular Medicine up to the development of Mikhael Adams, N.D. development of the current filter protocol and the Steps to Healing.